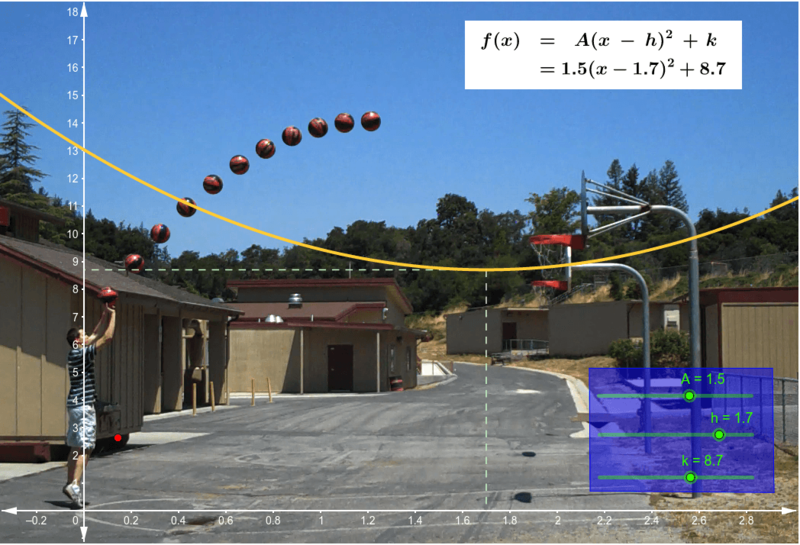 Now use the sliders to draw a quadratic through the basketballs. Now use the sliders to draw a quadratic through the basketballs. What's the formula for the curve? What happens to the graph as you change the sliders h, k, and A? Explain.